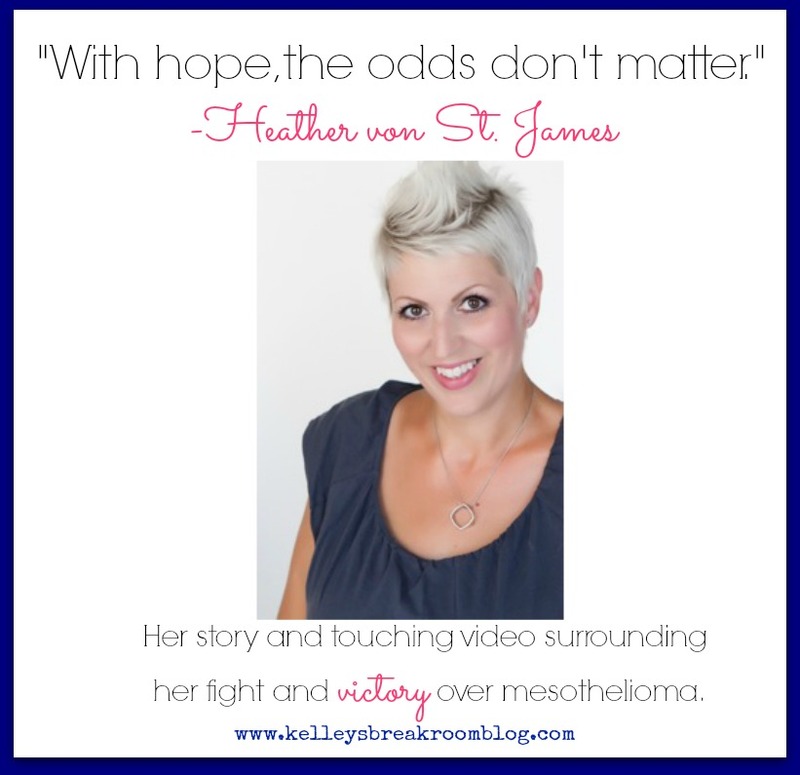 In 2005, Heather von St. James was just 36 when she was diagnosed with mesothelioma, a type of cancer that typically ends a person’s life within 2 years. At that time of her diagnosis, she had a 3 1/2 month old baby girl named Lily. In February 2006, she underwent “extensive thoracic surgery, known as extrapleural pneumonectomy, with adjuvant intra-operative heated chemotherapy under the care of thoracic surgeon, Dr. David Sugarbaker at the Brigham and Women’s Hospital in Boston, MA. She was declared cancer-free later that year and survives today. Von St. James’ own experience with the disease is clinically unique, as malignant mesothelioma is a rare, aggressive cancer typically diagnosed in older patients that, even with treatment, still possesses only a 6-9 month median survival rate. Mesothelioma, commonly caused by exposure to asbestos, typically only manifests after a 25-30-year latency period following exposure. You know I had to share it. I wanted to share it not only because of Heather and her journey, but because of my journey and your journey. I know that many of you have loved ones that have dealt with cancer and some of you have dealt or are dealing with cancer at this very minute. I know all too well that not all stories end up like Heather’s. I have friends who have lost children, friends that have lost spouses and I have lost many people I loved, as well. But, I know there is hope. My time at M. D. Anderson Cancer Center in Houston, Texas, the number one cancer center in the world, as a speech pathologist was a life-changing experience. I have looked into many sad and hurting eyes, but have seen hope and victory there, as well. Just like I see in Heather’s eyes in this video. Share it if you feel led to do so. It’s like a virtual hug.